A short step away from the main strip of West End theatres, the Playhouse's stylish curved facade is rather lost among the towering architecture of Charing Cross and Embankment. If the exterior is a little too restrained however, the same cannot be said for the auditorium, which is a sumptuous tribute to theatrical excess. A cream colour scheme is obscured by giant murals, statues and a mountain of gold inlay. The boxes are supported by caryatids, the house lights are on three-meter golden pillars, while the carved balustrades twist and turn like snakes. Sadly none of this glorious excess was ever seen by the bulk of the audience for the Playhouse Theatre's most famous shows. Hancock's Half Hour and and The Goon Show were both recorded here, along with a host of other BBC Radio shows. 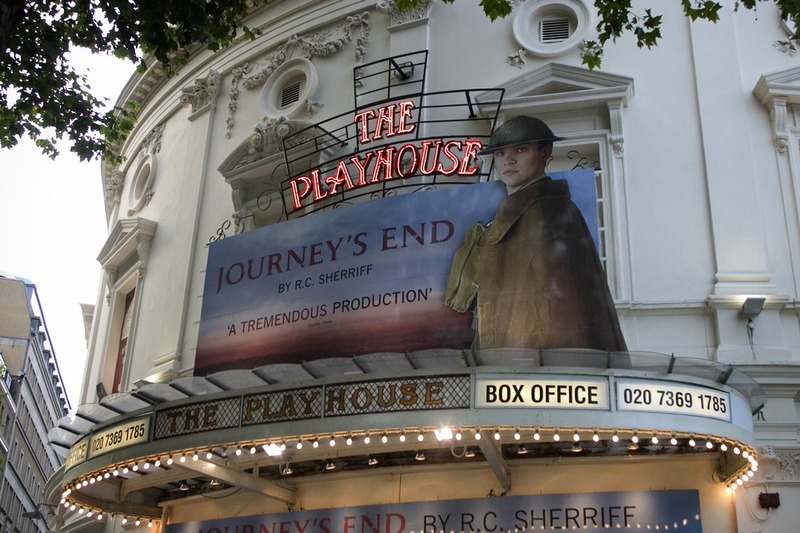 Since the BBC left in 1975, the Playhouse has struggled to establish itself as a major West End venue. Hits, like the Almeida's Naked starring Juliet Binoche and the National Theatre's An Inspector Calls have been matched by an equal number of flops and the theatre has changed hands many times. The transfer of the Menier's 2008 hit La Cage aux Folles did wonders for its reputation and it's currently home to the hugely popular Monty Python comedy Spamalot. What are the best dining options near Playhouse Theatre London? Playhouse Theatre gyms, sporting activities, health & beauty and fitness. The best pubs near London Playhouse Theatre. Playhouse Theatre clubs, bars, cabaret nights, casinos and interesting nightlife. Where to have your meeting, conference, exhibition, private dining or training course near Playhouse Theatre. From cheap budget accommodation to luxury 5 star hotels see our special offers for Playhouse Theatre hotels, including Amba Hotel Charing Cross from 82% off.